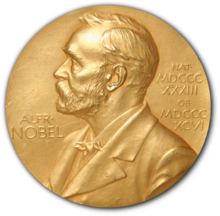 The first Nobel Prize in Physiology or Medicine was awarded in 1901 to the German physiologist Emil Adolf von Behring. Behring's discovery of serum therapy in the development of the diphtheria and tetanus vaccines put "in the hands of the physician a victorious weapon against illness and deaths". In 1902, the award went to Ronald Ross for his work on malaria, "by which he has shown how it enters the organism and thereby has laid the foundation for successful research on this disease and methods of combating it". He identified the mosquito as the transmitter of malaria, and worked tirelessly on measures to prevent malaria worldwide. The 1903 prize was awarded to Niels Ryberg Finsen, the first Faroese laureate, "in recognition of his contribution to the treatment of diseases, especially lupus vulgaris, with concentrated light radiation, whereby he has opened a new avenue for medical science". 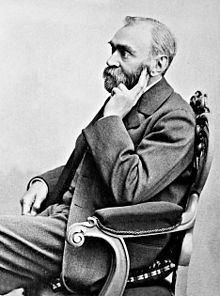 He died within a year after receiving the prize at the age of 43.Ivan Pavlov, whose work Nobel admired and supported, received the prize in 1904 for his work on the physiology of digestion.